The Michael C. Rockefeller Arts Center is one of the five major I.M. Pei buildings on the Fredonia campus. 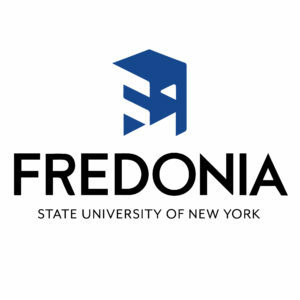 With Pei’s distinctive geometric shapes and beige poured-in-place board-formed concrete, it is one of the buildings that has given Fredonia its distinctive architectural feel. The 140,000-square-foot complex contains three performance venues, two galleries and numerous studios, production shops, offices and classrooms. 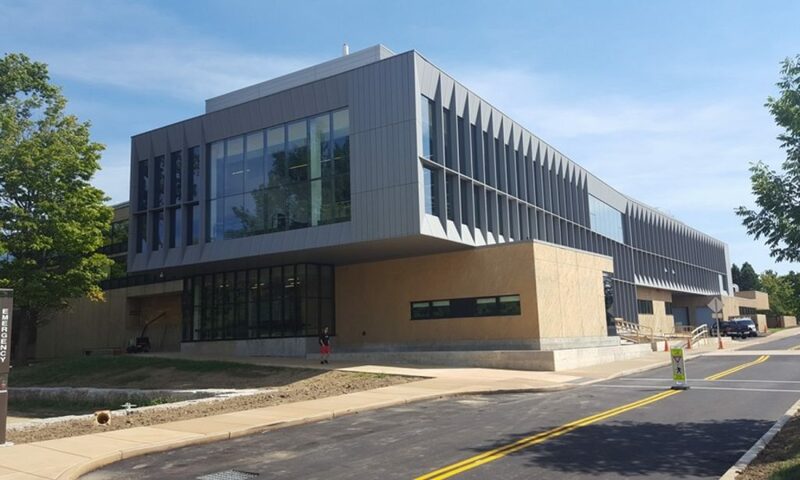 The current project, which includes renovation and re-purposing of existing spaces as well as a two-story addition on the west side of the building, will better meet the training and performance needs of today’s students. It will bring several programs including Dance and New Media, which are currently taught in other buildings on campus, under one roof. The project will also provide a new visible public entrance and café at the northwest corner of the structure to better welcome patrons who park on that side of the building. The expressed need for an addition to Rockefeller Arts Center goes back over 20 years. In 2010, after a competitive selection process, Deborah Berke and Partners of New York City was chosen as the project architect. The firm had done prior work for Bard College, Marlboro College and Yale University. Ground was broken in May of 2014.